Immortality in 5 points (size). 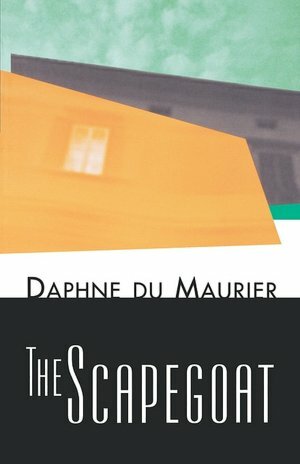 News floats in that author Dame Daphne du Maurier’s legion of friends have been left fuming by the showing on ITV of ‘The Scapegoat’, a direct adaption of DDdM’s novel of the same name. National newspapers in the UK have focused on her friend of thirty years, Michael Thornton, who summed up the reaction to the high level of ‘respect’ accorded to the book’s creator during the TV programme. Sadly, this news is of far less surprise to anyone actually earning their daily bread through the trade of writing. Most businesses – from newspapers to magazines to copywriting to tech manuals to TV and films and book publishing – regard the writer as an expendable milch cow, marginally less interchangeable than the brand of biro their office stationery section sources (and ever was it thus). Weren’t you a writer once? For many of these industries, actually having the author dead is a real bonus. You don’t have to pay the creator royalties after seventy years, you’ll never have to deal with an annoying agent again, and consulting the author about the authenticity of the TV adaption is no longer even a fig-leaf two minute phone conversation with the pesky writer (always a good opportunity to check your Blackberry while they witter on speakerphone for a bit). Any novelist who becomes dragged into that weary death-march from Stalingrad which is getting an optioned novel dragged into becoming a full movie will know that when it comes to the pecking order, the writer ranks just below the sweet old chap that trundles the coffee cart around the set asking if you would like a croissant with that. There isn’t an author alive who doesn’t devoutly believe, then waveringly trust, then vainly hope, their works will become a classic and bring them their well-deserved gift of ever-lasting immortality (we’re all insecure egomaniacs: bullet-point to take-away, never marry an author or an actor). The truth is that it will. Just don’t expect it to look larger than five point Garamond or rank higher than ten million and two in the 2130AD Amazon chart. * If you’re reading this in the 22nd century**, I’m trusting those authors’ names don’t leave you reaching for whatever passes for Wikipedia in the same way that the 19th century’s Über-bestselling author George Lippard will have my current crop of readers furiously Googleing away and muttering WTF? So true. People are very surprised when I tell them how much of the cover price of a book actually goes to the author. 🙂 You don’t write because you want to make money, you write because there is something inside that has to get out, whether that be on paper or a computer screen.